With sportier design cues and a powerful, muscular stance, Range Rover Sport is designed for impact. 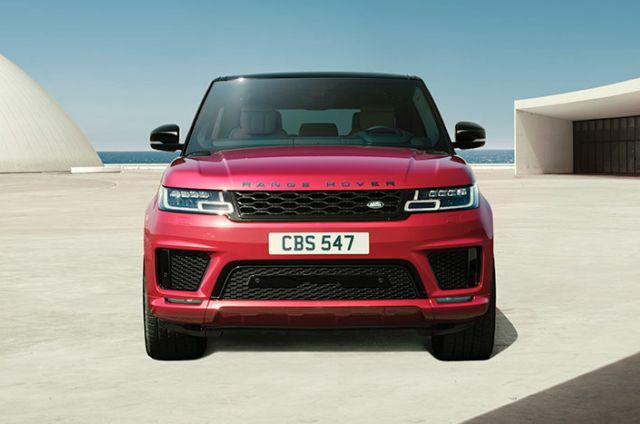 Cleaner, more dynamic, there’s a contemporary feel everywhere you look—from the new Range Rover Sport grille, redesigned bonnet vents to the refined, yet sporty wheel options. A range of potent powertrains deliver breathtaking on-road performance. 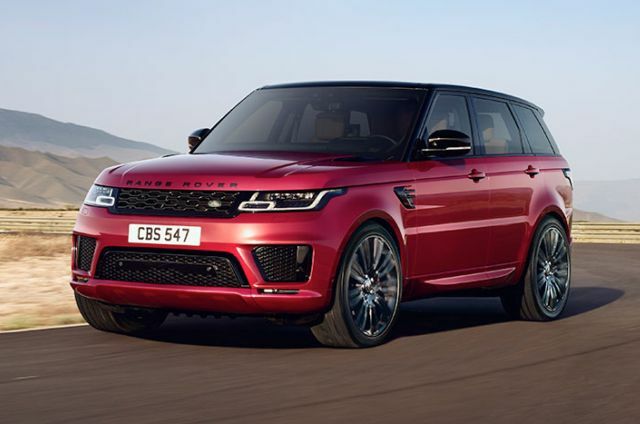 The 5.0 litre V8 Supercharged Petrol engine offers an improved output of 525PS and the combination of an advanced Ingenium petrol engine and electric motor delivers the remarkable performance of Range Rover Sport PHEV. Our Touch Pro Duo in-car infotainment system beautifully integrates two 10”high-definition Touchscreens. Use Touch Pro Duo together with the full-colour Head-up Display and Interactive Driver Display to simultaneously view and interact with multiple features at once. Muscular and perfectly proportioned, Range Rover Sport is designed to command attention wherever you take it. Range Rover Sport’s presence is more formidable than ever. With its distinctive silhouette, rearward sloping roof and continuous waistline, Range Rover DNA is unmistakable throughout. Luxurious, supremely comfortable and exceptionally functional, Range Rover Sport is a driver’s vehicle through and through. The signature cockpit has been extensively reimagined; every element meticulously designed and beautifully executed. Intuitive design features include CommandShift 2, hidden-until-lit touch-sensitive switches and the dynamic steering wheel with paddle shift. 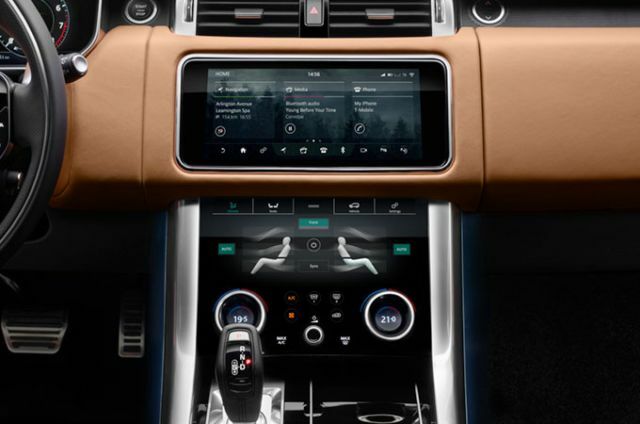 Providing easy access to your personal effects while maintaining an uncluttered cabin, Range Rover Sport features convenient storage space – from the deep stowage of the centre console and new upper glovebox to the luxury of the optional refrigerator compartment. The Plug-in Hybrid Electric Vehicle (PHEV) delivers an exceptionally refined experience and leading Range Rover Sport capability both on and off-road. PHEV takes Range Rover Sport from 0-100km/h in just 6.7 seconds and on to a top speed of 220km/h. From sheer driving pleasure to fuel economy and refinement, each Range Rover Sport engine has been optimised for specific attributes. Ingenium technology underpins our 4-cylinder engines and the powerful 5.0 litre V8 Supercharged Petrol engine provides outstanding performance and driver engagement. The 10” dual high-definition Touchscreens of Touch Duo Pro allow you to simultaneously view information on one screen, for instance, using the navigation system, whilst interacting with multiple features, such as adjusting media settings, on the other. Ensuring you’re always informed, the 12.3” high-definition Interactive Driver Display delivers driving information, entertainment and safety data. And the Head-up Display keeps your focus on the road, presenting key vehicle data, such as speed, gear position and directions, on the windscreen. The optional third row seats are designed for occasional use*, allowing the vehicle to accommodate up to seven people. Take the whole family off in comfort for the weekend, with plenty of space for all your luggage. Utilise four seats and make more of the space for bigger items such as a ski bag. With five seats folded down, pack sports equipment, bags and much more into the loadspace. *The third row seats are suitable for use by older children who can either use the adult belt or a booster seat in conjunction with the adult belt. They are not suitable for smaller children who require a child seat where the adult belt is not used directly to restrain the child. Enjoy your favourite outdoor activities and keep your car key securely in the vehicle. The optional Land Rover Activity Key features a robust, fully waterproof wristband, allowing you to take part in a range of activities where carrying a key is less than convenient. A sure-footed, composed drive is completed by the latest electronic air suspension* which provides exceptional wheel articulation and poise. In Range Rover Sport SVR you will find exhilarating performance with the SVR Sport Suspension optimised for performance and improved handling. *Optional with SD4 engine which has a fully independent coil sprung suspension system as standard. All Wheel Drive (AWD) delivers outstanding on-road performance and full off-road capability. To maintain optimum traction for assured progress in all conditions, Range Rover Sport’s drive is connected and delivered thanks to a carefully engineered suite of technologies. With an unrivalled towing capacity of up to 3,500kg* and tailored towing technologies, including Trailer Stability Assist and optional Advanced Tow Assist, Range Rover Sport can handle the most demanding of tasks. * 2.500kg limit on P400e models. 3.000kg limit on SVR, SD4 with third row seating option and Si4 models. The striking lines of the Range Rover Sport S offer a perfect introduction to the models available. Features front fog lights and an enhanced interior with 14-way powered front seats. Matrix-LED headlights enhance the vehicle’s exterior while the interior features perforated Windsor leather seats. Shadow Atlas exterior details enhance the dynamic design, while the interior features perforated Windsor leather seats. With Narvik Black exterior accents, Black contrast roof and Autobiography Semi-Aniline leather seats, this vehicle lives up to its name. Its design is purposeful with features optimising both form and function. The exclusive 5.0 litre V8 Supercharged Petrol 575PS engine comes as standard. Enhance your Range Rover Sport at any time during its life by adding Land Rover Gear Accessories. Tailor your vehicle to your needs with stylish, tough and versatile accessories which are designed, tested and manufactured to the same exacting standards as the original, fitted equipment.